To say the political landscape has changed after the 2018 midterm elections would be a big understatement. We say goodbye and thank you to many elected officials who have done so much for the Florida citrus industry. And, there are many new leaders coming on board in Tallahassee and Washington we look forward to working with in the future. 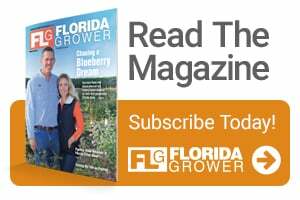 Growers can rest assured that Florida Citrus Mutual (FCM) is working overtime to get a lay of the land and formulate a subsequent lobbying strategy after the 2018 elections. We expect our ability to cultivate relationships and educate elected officials will continue to pay big dividends for Florida citrus growers. We’ve got a lot going on right now at Mutual. We worked hard to include Florida citrus in the 2018 Farm Bill. Subsequently, it includes funding for the re-authorization of long-term citrus research, the Citrus Health Response Program (CHRP), and the Multi Agency Coordination (MAC) program for shovel-ready citrus research projects. Mutual estimates these farm bill appropriations will exceed $50 million each year. Here’s an interesting project designed to get more trees in the ground and sustain our industry. The Grower Replanting Incentive Program (GRIP) is a partnership among growers, federal, and state regulatory officials, researchers, and academia that will represent the largest single research field trial ever undertaken by the citrus industry. The GRIP will provide a 50% cost share to industry for large-scale, new citrus plantings (up to 5,000 acres) to demonstrate the impact of utilizing the latest research findings in real-world environments. Growers will apply combinations of new management and therapeutic tools for growing citrus including grove design, planting preparation, pest management, and post-planting practices to promote increased citrus production. Researchers will monitor and measure inputs and outcomes to provide the industry with a clear understanding of the available tools and best practices for successfully growing citrus in the presence of HLB. FCM and its crop insurance partner, AgriLogic, hosted three successful meetings in November to discuss how the industry should proceed in reforming the current citrus fruit policy. I know many of you attended one of the meetings. There was much good discussion as to the benefits (or lack thereof) of the current dollar program and a proposed actual production history (APH) program. As you know, this is a complex issue that really gets to the heart of risk management. 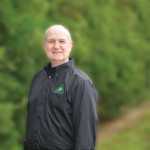 The idea is to provide growers the best risk management tools, whether that means leaving the current program as is, increasing the reference values of the current program, going to an APH program, or attempting to put a hybrid program in place. As the state of Florida continues to grow at a rate of approximately 1000 new residents a day, the pressure on the existing water supply and the need to maintain water quality standards that ensure the health of our environment will remain an issue for the foreseeable future. Algae blooms and red tide were a huge issue during the elections, and they will continue to be. FCM is working with other ag organizations to protect the voluntary best management practices (BMPs) program. Florida’s BMP program is a model for the rest of the country, and we need to keep it in place as is. Florida Department of Agriculture and Consumer Services (FDACS) Office of Agricultural Water Policy is going to work with us on this. BMPs have played a large role in the success of the citrus industry in this endeavor. Any proposed changes to the BMP program needs to be thoroughly considered and vetted by all stakeholders. This is not an issue that should be taken lightly. One program that has been critical to water conservation efforts has been the Citrus Renovation Irrigation Support Program (CRISP) administered by FDACS. Through the FDACS BMP program, the CRISP provides cost share to producers who implement nutrient and water conservation on citrus groves that are being replanted. The efforts include installation of irrigation systems that incorporate BMPs to maximize nutrient and water-use efficiency. We are going to look to reauthorize CRISP this session in Tallahassee. The only constant in this world is change. And there is certainly a lot of change around with the 2019 session in Tallahassee and the new Congress and Senate. The good news is that FCM already has laid the bipartisan groundwork with many of the people who are going to take on leadership roles. I am optimistic that we will have a success-ful legislative agenda at the state and federal levels. Mike Sparks is the executive vice president/CEO of Florida Citrus Mutual. See all author stories here.